South of Portugal, 2011. 24 Oct 2011. Ignacio Bárbara. © Ignacio Bárbara (barbara@udc.es). 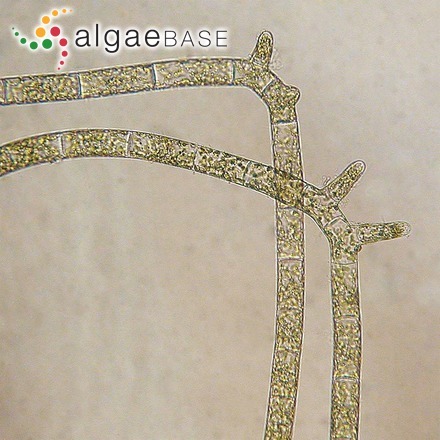 Strait of Messina, Italy; monospores; one showing bipolar germination . Eric Henry. © Eric Henry (eric@reedmariculture.com). Published in: Sauvageau, C. (1899). Les Acinetospora et la sexualité des Tiloptéridacées. Journal de Botanique, Morot 13: 107-127. The type species (holotype) of the genus Acinetospora is Acinetospora pusilla (A.W.Griffiths ex Harvey) De Toni. Type locality: Appin, Scotland (Womersley 1987: 46). Type: BM (Womersley 1987: 46). Concerning the correct citation of the authorities, see note for Ectocarpus crinitus. John et al. 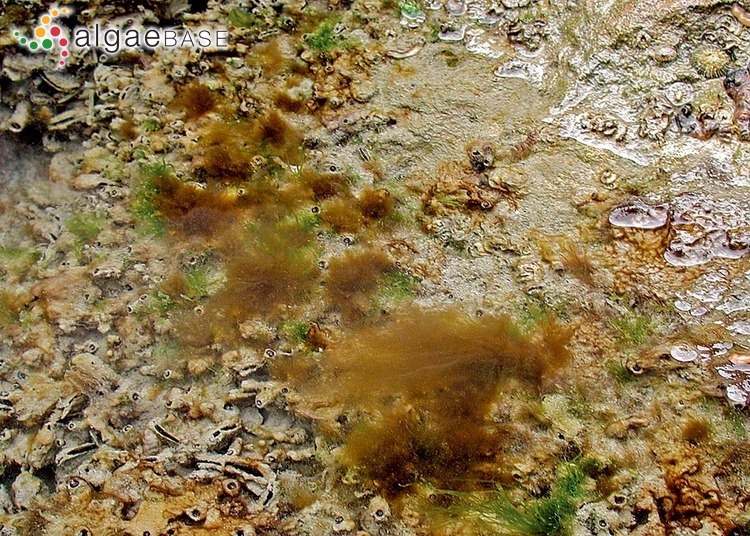 (2004) cite Acinetospora pusilla (B.M. Griffiths) Bornet, Feldmannia lebelii (Aresch. 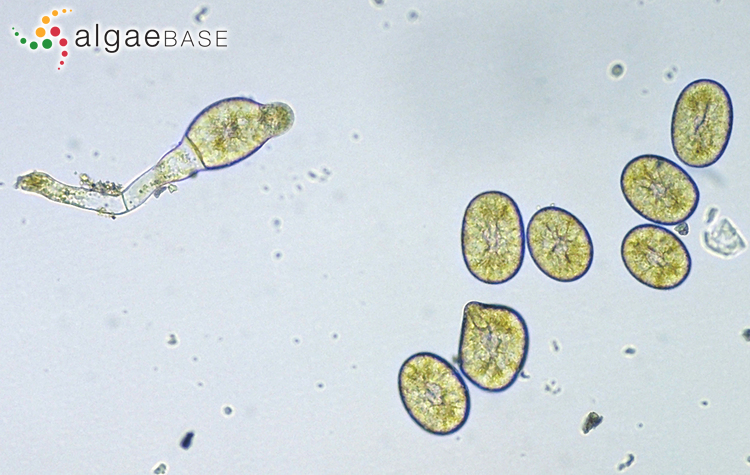 ex P. Crouan & H. Crouan) Hamel and Feldmannia padinae (Buffham) Hamel as synonyms of Acinetospora crinita (Carmich. ex Harv.) Kornmann. Kornmann, P. (1953). Der Formenkreis von Acinetospora crinita (Carm.) nov. comb. Helgoländer Wissenschaftliche Meeresuntersuchungen 4: 205-224. Accesses: This record has been accessed by users 5251 times since it was created. Amsler, C.D. (1984). 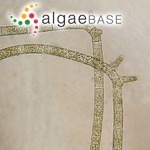 Culture and field studies of Acinetospora crinita (Carmichael) Sauvageau (Ectocarpaceae, Phaeophyceae) in North Carolina, USA. Phycologia 23: 377-382, 5 figs. Giani, M., Sartoni, G., Nuccio, C., Berto, D., Ferrari, C.R., Najdek, M., Sist, P. & Urbani, R. (2016). 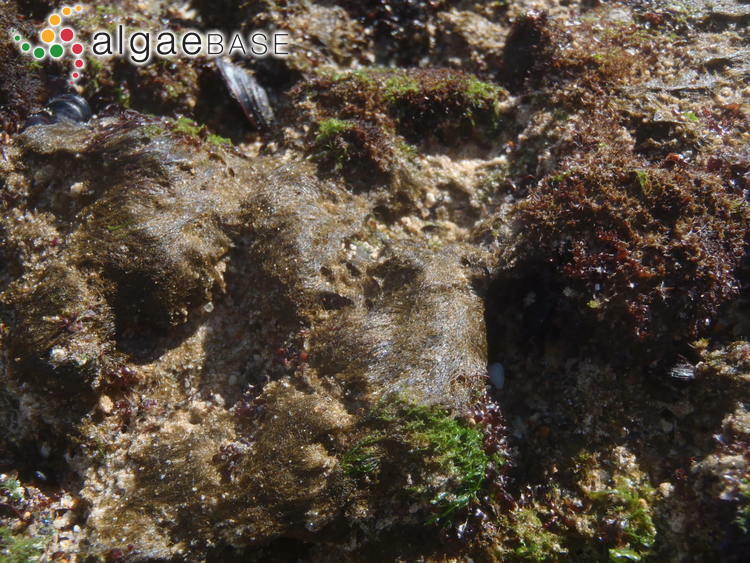 Organic aggregates formed by benthopleustophyte brown alga Acinetospora crinita (Acinetosporaceae, Ectocarpales). Journal of Phycology 52(4): 550-563. Konno, K. & Tanaka, J. (1988). 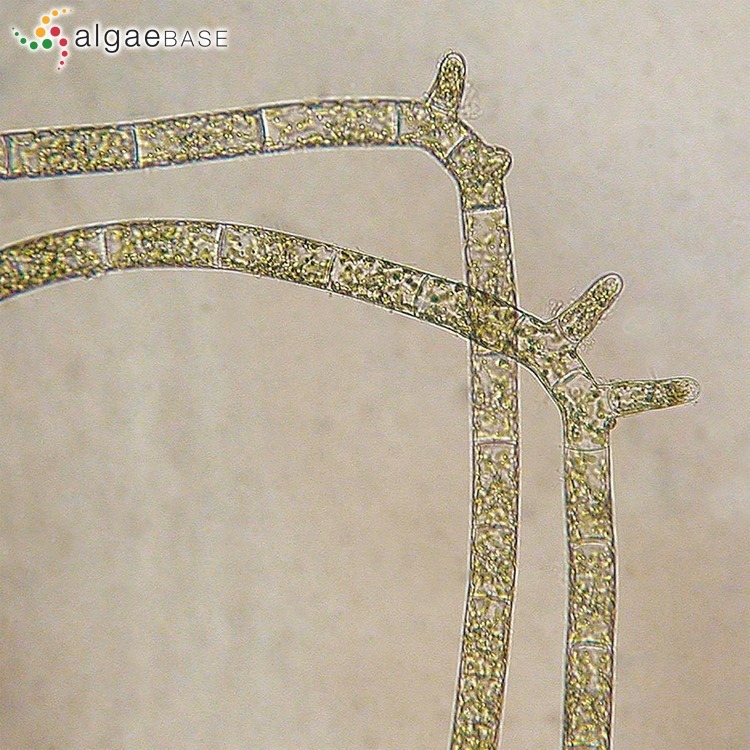 Eurychasma dicksonii, a parasitic fungus on Acinetospora crinita (brown alga) in Japan. Bulletin of the National Science Museum, Tokyo, Ser. B (Botany) 14: 119-122.